About an hour away from Mexico City is the ancient city of Teotihuacan, which is definitely worth a visit if you are in the area! The city is about 20 square kilometres and has over 2000 single apartments as well as varies temples, pyramids & plazas and palaces for the nobles & priests. There are two large pyramids called “Pyramid of the Moon” and “Pyramid of the Sun” which have an “Avenue of the Dead” that connects them. We hiked up the larger Pyramid of the Sun, and we got to see the most spectacular views of the entire site, including the Pyramid of the Moon. It was amazing to get the chance to walk through the space that was once a thriving city - especially one that was the biggest and most influential city in the region in 400A.D. 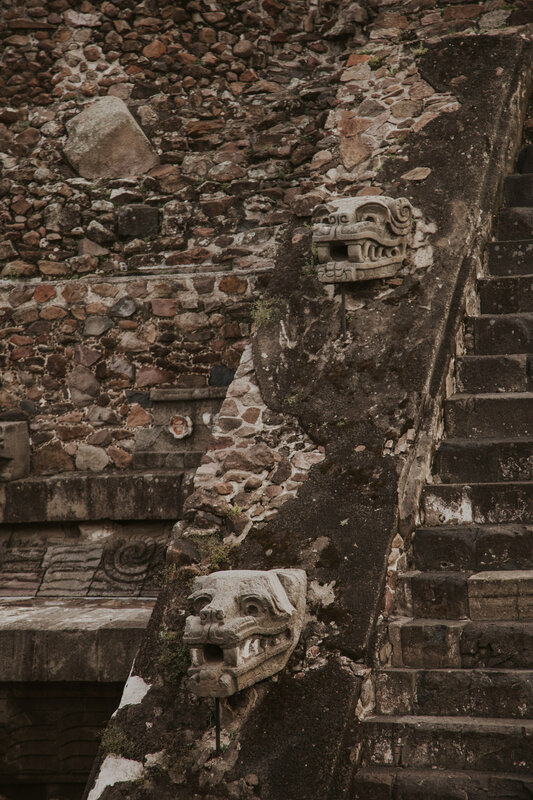 There is so little known about this area and the people who built and lived in it - It is clear that they worshipped Gods & Goddesses - There are structures built to represent the Serpent Goddess & Spider Goddess in the structures, and historians believe there were ritual sacrifices of animals & humans to these Gods. There is also evidence of tools, pottery & luxury goods, and historians believe that they produced cotton, beans, squash, cacao, and avocados. It is just so cool to imagine the people that walked and lived in this space! There is ongoing research being conducted -It was a fascinating place to visit, and a good hike to the top of the pyramid. A must visit!